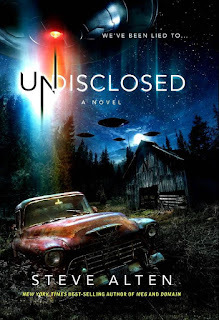 A veteran of the Iraq war is appointed Under Secretary of Defense in order to penetrate a secret government purposely black-shelving zero-point-energy, a clean, abundant energy source reverse-engineered from downed UFOs. Are Extraterrestrials and UFOs real? Are there secret subterranean military bases hiding advanced technologies that date back to the incident at Roswell? Is there a False Flag in the works intended to wipe out billions? 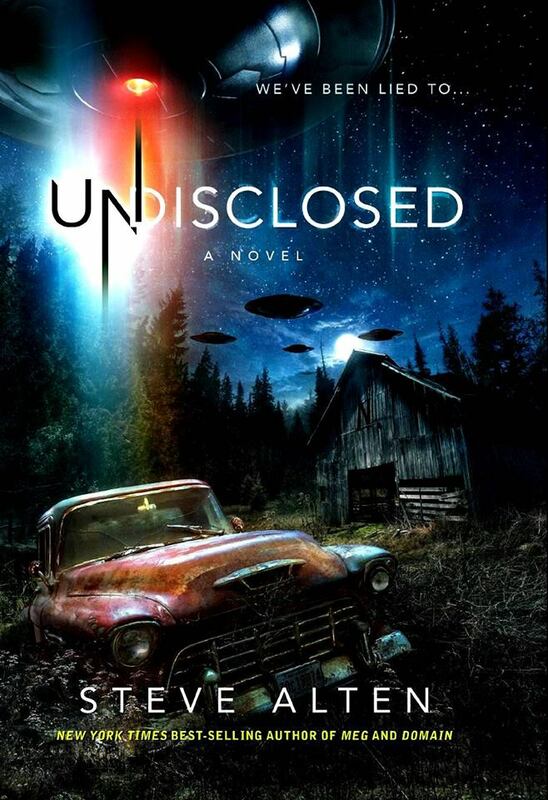 Steve Alten's UNDISCLOSED is a mind-opening thriller of -faction- which incorporates testimonials from military and intelligence personnel who were actual eyewitnesses and participants involved in the greatest secret in history. Whether it's giant sharks, the Loch Ness Monster, or aliens, Steve Alten is always fun read. I like what little we've heard about this so far, and that cover is all kinds of awesome. I've yet to read a Steve Alten book though I do have the Meg series on my ereader. I like the cover to this book-creepy and atmospheric! His stuff is fun, popcorn entertainment. Definite popcorn fun - Vostok was my last read of his as well. Sounds like a fun read! I'm visiting as an IWSG co-host today. Happy writing in April! I read Alten's latest MEG book, so much fun. His books are like the literary equivalent of the cheesy movies you see on Syfy, complete fluff but such a great time.